Hey Crafty Peeps! I had some fun playing with a few of the newer Technique Junkies sets recently: Sudsy Stuff, Under The Sea and Life Is Beautiful. I also used a couple newer products: Nuvo Glitter Markers and Chameleon Colortone Pencils. With the help of my trusty MISTI, I ended up with a fun and shiny card! I started out by securing my cardstock with magnets in my Misti. I stamped Sudsy Stuff in a light blue ink. 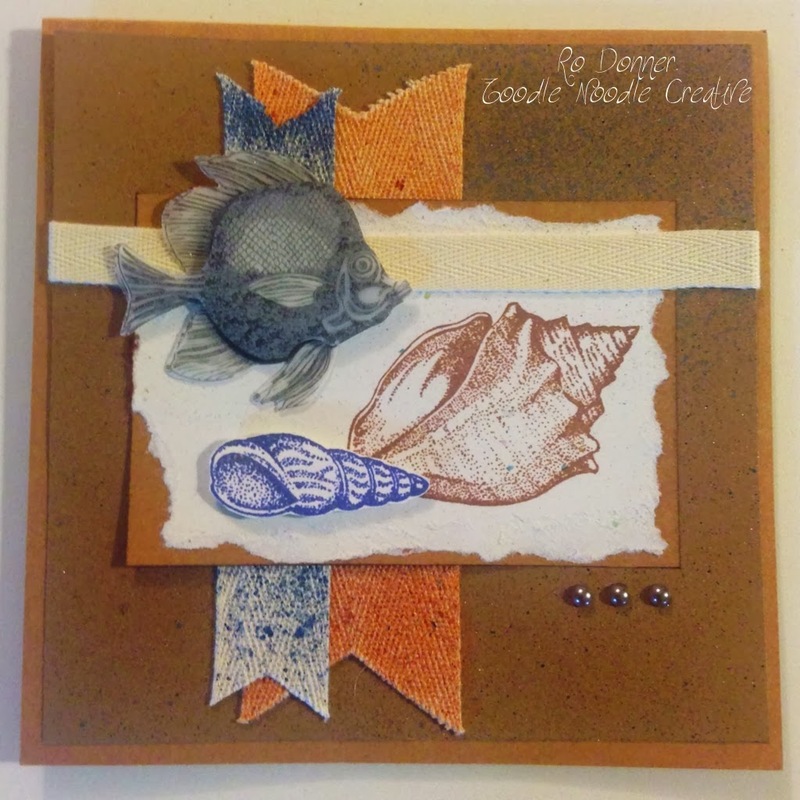 I then aligned the Under The Sea stamp and stamped it in a light grey. Without moving the stamp or the cardstock, I colored in the turtle with a green glitter marker and stamped onto the CS. I followed that same procedure with different colors of glitter marker onto different sections. After all the shiny part was stamped, I used the Chameleon pencils and colored in the different elements. I mounted the CS onto a black panel, and added that to a grey card base. The Life Is Beautiful sentiment was stamped onto a piece of grey CS and foam mounted to the card. Using the MISTI for perfect alignment opens up a lot of opportunity for different techniques. 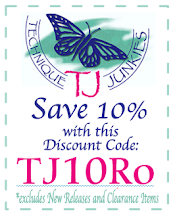 I hope you are inspired to give it a try for yourself. 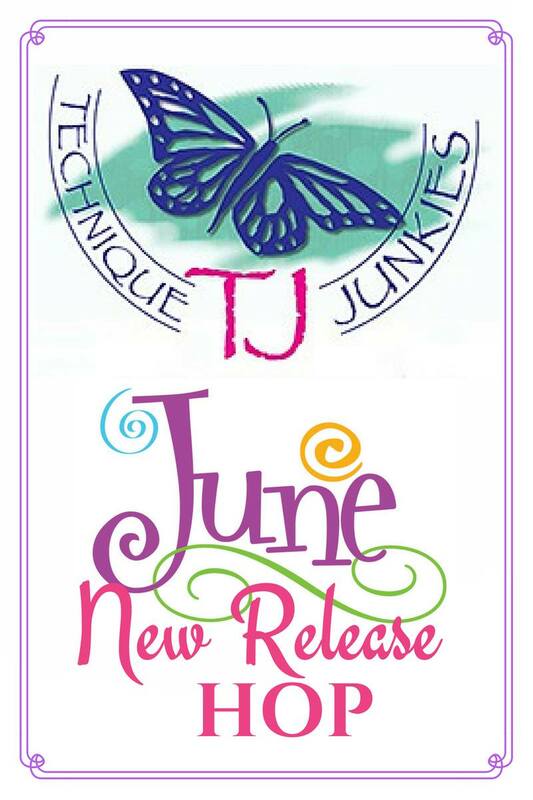 Happy June, Technique Junkies Fans! It's officially June and you know what that means!!! A fun blog hop with Technique Junkies Design Team! If you have arrived from the super-creative Jeanne, you are on the right track. If not, you may want to start at the beginning so you don't miss a thing! Now with all that info out of the way, on to the projects!!! First up is a beautiful background card using embossing powder. The image was stamped and embossed, a little distress ink was applied using a sponge dauber. Then a vellum panel was added which was also embossed. They were both layered onto an orange mat and mounted on a card base. Next up is a CD Calendar page. The background was hand-colored using colored pencils. The calendar was computer-generated. The image and sentiment were stamped with Tuxedo Black ink (I used the Misti so I could restamp the image several times to get a clean impression). Not only does this stamp set include the images below, but also three more sentiments: "Live, Laugh, Golf"; "I found a wood that can lower your score. It's called a pencil. "; and, "Born to Golf, Forced to Work". Last up is a very sparkly card! This card was done with embossing and glitter on a card panel that was stamped and colored with Zig Clean Color Real Brush markers, and a sentiment on vellum was added. Technique Junkies is now also carrying Chameleon Color Tone Pencils!!! 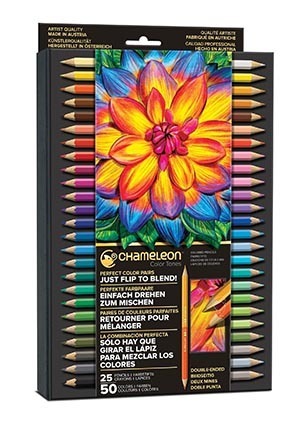 Chameleon Color Tone Pencils are specially designed double ended pencils you just flip to blend! I'll be sharing a few projects later on using these fun pencils! Now hop on over to the crafty Beth for the next jag of this hop! Hope you are finding lots of fun and inspiration!